As some of you know, I recently stepped down from being the Executive Director of the Mendocino Coast Writers' Conference to take up a new position: Full Time Writer. This transition is less than a week old, and yet the prime challenge of the new job is already apparent. How does one stay focused? Even if you set regular writing hours, don't you find yourself staring into the fridge? I decided to try a few practical solutions. 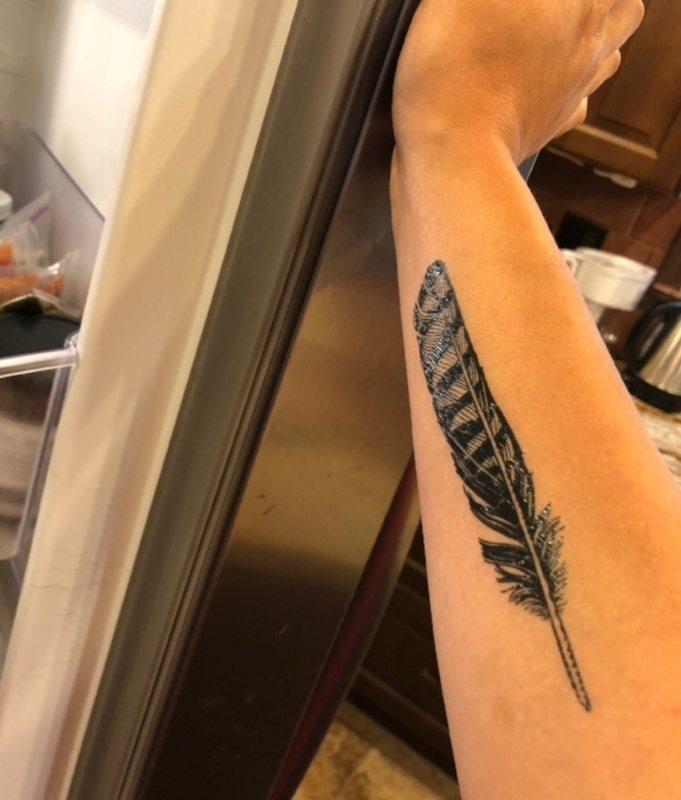 First, I gave myself a temporary tattoo along the length of my fridge-opening forearm—a Shakespearean quill to remind me that I'm supposed to be writing. Now I catch a glimpse of it each time I extend my hand and immediately slam shut the door. Then I decided to get rid of the World Wrestling Federation match going on between different kinds of guilt. Being a Full Time Writer is only possible for me because I take on a lot of Part Time Stuff. Most of this comes out of being a writer and in turn feeds the writing—teaching, coaching, editing, running writers' retreats, for example—but it isn't Working on Your Novel. I found I would get guilty when I was not writing (you're supposed to be a Full Time Writer! ), and then I'd get guilty when I sat down to write (you have all these responsibilities and your career/family/world will collapse if you don't take care of them right now!). So I brokered a truce. I bought a set of Window Writers. Now on a window of my office is a color-coded list. Green is everything I have to do to make sure I get fed. Right now there's a freelance writing job up there. Blue are all the tasks that go into the business of being a writer. This blog was on my blue list. As was getting started on Twitter (@shirinbridges). And then in bright pink are the writing goals, broken down into specifics. "Fix first 250 words" was there until yesterday. Below the lovely shiny glass where that has been rubbed out is "Review all first chapter edits" and "Write approach-to-HK scene." My deal with my wrestlers is that they each get a turn. Blue-green-pink; pink-blue-green; the order doesn't matter, as long as at the end of each round, I've given time to every category. Then, in between rounds, a quick walk around the block or some work in the garden. A lot more is getting done now, and more sanely. I can feel the joy of what I'm doing creeping in. My last tip for the day, and one I discussed with a writing friend this morning, is being respectful of where the writing gets done. For me, the writing really doesn't get done at my computer. It happens in my head. The writer's first job is to imagine. (I thought Chekov said that, but on googling, maybe not.) And the writer's second job is to observe. (Another google, another apparent Shirin Bridges original.) So giving my mind fodder by reading, by researching, by listening to a piece of music that captures the mood I'm trying to evoke, all that is writing too. When I finally make it to the computer, the scene is already there. I only have to find the best way to describe something that has already happened. At no time does it, nor should it, feel as if I'm making it up. As we left my last MCWC board meeting, a friend and board member said that my super power lies in building communities. I liked that. And so, in blue on my window is a new goal: to build a new writers' community, broader than MCWC through space and time, if maybe less intense. A community that shares even small learnings that might help us better enjoy and benefit from the writing life. I encourage you to contribute, simply by sending me an email (shirin.bridges@gmail.com). And for my part, I'm going to be a little bit better about blogging, and I'm going to tweet any useful information as soon as it crosses my desk. So, please invite your writing friends to join us if you haven't already, and follow me on Twitter @shirinbridges. I think it'll be an interesting journey and I've already bought something to celebrate a future milestone: a scalpel tattoo, for when it's time to do the heavy editing.